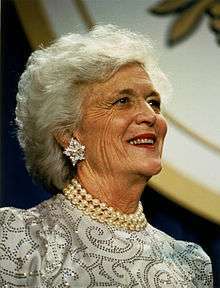 Barbara Bush (née Pierce; born June 8, 1925) is the wife of George H. W. Bush, the 41st President of the United States, and served as First Lady of the United States from 1989 to 1993. She is the mother of George W. Bush, the 43rd President, and Jeb Bush, the 43rd Governor of Florida. 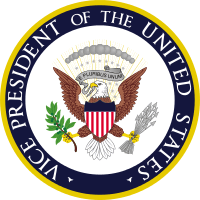 She served as the Second Lady of the United States from 1981 to 1989. Barbara Pierce was born in Flushing, New York. She attended Milton Public School from 1931 to 1937, and Rye Country Day School from 1937-1940. She graduated from Ashley Hall School in Charleston, South Carolina. She met George Herbert Walker Bush at age 16, and the two married in Rye, New York in 1945, while he was on leave during his deployment as a Naval officer in World War II. They had six children together. The Bush family soon moved to Midland, Texas; as George Bush entered political life, she raised their children. Over the next 13 years, George and Barbara Bush had six children: George W. Bush (born July 6, 1946), Pauline Robinson "Robin" Bush (December 20, 1949 – October 11, 1953, died of leukemia), John Ellis "Jeb" Bush (born February 11, 1953), Neil Mallon Bush (born January 22, 1955), Marvin Pierce Bush (born October 22, 1956), and Dorothy "Doro" Bush Koch (born August 18, 1959). From their 5 living children, they have 14 grandchildren and 7 great-grandchildren. Bush would be elected as a U.S. Representative in Congress from Texas two years later in 1966; while her husband campaigned, Barbara raised her children, occasionally joining him on the trail. 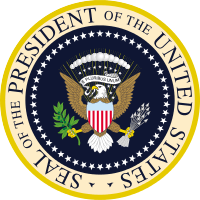 Over the ensuing years, George Bush would be elected or appointed to several different positions in the U.S. Congress or the Executive branch, or government-related posts, and Barbara Bush would accompany him every step of the way. Barbara Bush's eight years as Second Lady allowed her to become a common household name. She took an interest in literacy issues after her son Neil was diagnosed with dyslexia and began working with several different literacy organizations. She spent much time researching and learning about the factors that contributed to illiteracy – she believed homelessness was also connected to illiteracy – and the efforts underway to combat both. She traveled around the country and the world, both with the Vice President on official trips and by herself. In 1984 she wrote a children's book about her family told from the point of view of her dog C. Fred entitled C. Fred's Story. She donated all proceeds from the book to literacy charities. Now comfortable speaking in front of groups, she routinely spoke to promote issues she believed in and became famous for expressing a sense of humor and self-deprecating wit. During the 1984 presidential campaign, Barbara made headlines when she told the press that she could not say on television what she thought of Vice-Presidential candidate Geraldine Ferraro, but "it rhymes with rich". She later apologized to Ferraro. Barbara Bush with children and White House staff in the China Room. The first lady is attempting to make a paw print of her pet Millie for a holiday card. On April 19, 1995, the Alfred P. Murrah Federal Building was the target of a terrorist bombing that left 168 people dead. One of the people that died in the attack was Al Whicher, who had served on George H. W. Bush's Secret Security Detail. Bush called the man who served under her husband, "a devoted husband and father." The next day, April 20, 1995, the Bushes were scheduled to go to Tulsa, Oklahoma. Barbara was supposed to speak at a Junior League event in the noon and accompany her husband at the Salvation Army annual dinner. The Bushes debated whether or not they should continue with their plans due to the bombing, ultimately deciding to go because "both groups help people in need." On September 3, 1995, the Bushes went to Vietnam. This was "unbelievable" to Barbara because she "never expected to set foot in what had been North Vietnam." The Bushes first went to Hanoi and then to Ho Chi Minh City. The Bushes met with President Lê Đức Anh and party secretary Đỗ Mười. On September 28, 1995, the Bushes drove to Portland, Maine for the announcement of the Barbara Bush Children's Hospital. Bush said her life was being stretched, adding, "Long after I am gone this hospital will be there with my name." The Bushes visited the children there, and Mrs. Bush started to recall her daughter Robin after seeing them. The Bushes returned home early that month. Former First Lady Mrs. Barbara Bush at the LBJ Presidential Library in 2012. 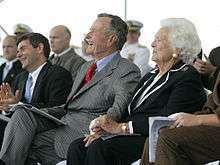 On October 3, 2008, Barbara Bush and her husband George opened the George and Barbara Bush Center on the University of New England waterfront Biddeford Campus a few miles north of Walker's Point. The George and Barbara Bush Center lays the foundation for the heritage of Barbara Bush in New England and houses The Bush Legacy Collection, material securing the Bush legacy in Maine, including memorabilia on loan from the George H. W. Bush Presidential Library at Texas A&M University. Particular attention is given to the family’s New England heritage and to Barbara Bush’s love for Maine. In September 2010, in partnership with the University of New England, Barbara and George Bush established the George and Barbara Bush Distinguished Lecture Series, an annual event honoring the legacy of Barbara and George Bush as political and community leaders. 1 2 3 4 5 6 7 8 9 10 11 12 13 14 15 16 17 18 19 20 21 22 23 "First Lady Biography: Barbara Bush". National First Ladies Library. Archived from the original on November 19, 2005. Retrieved January 21, 2008. ↑ "Famous Kin of Barbara (Pierce) Bush". FamousKin.com. ↑ W. Speers (May 22, 1990). "Barbara Bush: I Overcame Depression". Philadelphia Media Network. Archived from the original on July 26, 2013. 1 2 3 "Barbara Bush Biography". A&E Television Networks, LLC. Archived from the original on October 4, 2011. Retrieved December 23, 2011. ↑ "White House biography of Barbara Bush". White House. Archived from the original on January 22, 2009. Retrieved November 17, 2011. ↑ Lamar Brantley. "Barbara Bush as a Role Model". Rolemodel. Archived from the original on July 5, 2007. Retrieved November 17, 2011. ↑ "Arts & Scholars". The Trident (Winter 2013): 19. ↑ Bush, Barbara (1994), pp. 264-265. ↑ John M. Broder (August 14, 1992). "Barbara Bush Calls Abortion `Personal Choice". Los Angeles Times. Seattle Times. Archived from the original on November 15, 2010. ↑ Harnden, Toby (November 8, 2010). "George W Bush became opposed to abortion when mother showed him dead foetus in jar". The Daily Telegraph. London. Archived from the original on November 11, 2010. ↑ Altman, Lawrence K. (May 29, 1991). "Clue to Bushes' Disease Sought in Water". The New York Times. Archived from the original on November 10, 2012. Retrieved November 17, 2011. 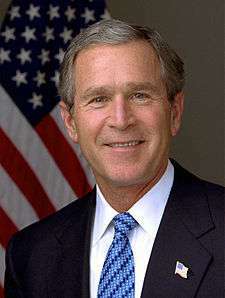 ↑ Bush, Barbara (2004), pp. 5-7. ↑ Bush, Barbara (2004), p. 9. ↑ Bush, Barbara (2004), p. 16. ↑ Bush, Barbara (2004), pp. 69-70. ↑ Bush, Barbara. (2004), p. 72. ↑ Bush, Barbara (2004), p. 79. ↑ Bush, Barbara (2004), pp. 85-86. ↑ Bush, Barbara (2004), pp. 91-92. ↑ Naftali, Timothy (2003). 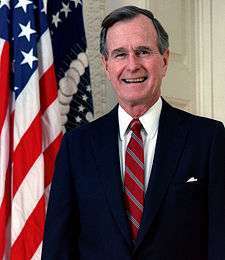 George H. W. Bush: The American Presidents Series: The 41st President, 1989-1993. Times Books. p. 166. ISBN 0805069666. ↑ "Barbara Bush 'Beautiful Mind' Quote". Snopes. Retrieved November 17, 2011. ↑ "Barbara Bush: Things Working Out 'Very Well' for Poor Evacuees from New Orleans". Editor and Publisher. September 5, 2005. Archived from the original on April 10, 2007. Retrieved April 18, 2007. ↑ "Marketplace". American Public Media. September 5, 2005. Audio clip. ↑ "Barbara Bush comments on survivors spark outrage". Sydney Morning Herald. September 7, 2005. Archived from the original on June 29, 2006. Retrieved January 30, 2010. ↑ Cynthia Leonor Garza, Copyright 2006 Houston Chronicle (March 23, 2006). "Katrina funds earmarked to pay for Neil Bush's software program". Houston Chronicle. Retrieved November 17, 2011. ↑ "The George and Barbara Bush Center | University of New England in Maine, Tangier and Online". Une.edu. 2008-10-03. Retrieved 2016-09-07. ↑ "Former First Lady Barbara Bush In Hospital". Fox News Channel. 2010-04-07. Archived from the original on December 10, 2008. Retrieved November 17, 2011. ↑ "George and Barbara Bush Distinguished Lecture Series | Lectures | University of New England in Maine, Tangier and Online". Une.edu. Retrieved 2016-09-07. ↑ Snyder, Whitney (November 20, 2010). "Barbara Bush Jabs Sarah Palin: 'I Hope She Stays' In Alaska (VIDEO)". The Huffington Post. Retrieved November 17, 2011. ↑ "44 – Palin fires back at 'blue-blood' Barbara Bush". Voices.washingtonpost. November 24, 2010. Retrieved November 17, 2011. 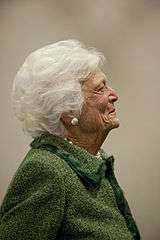 ↑ "Former first lady Barbara Bush hospitalized for 'respiratory related issue'". NBC News. December 31, 2013. Archived from the original on January 1, 2014. ↑ Hamedy, Sama (January 4, 2014). "Former First Lady Barbara Bush released from Houston hospital". Los Angeles Times. ↑ Cirilli, Kevin (June 20, 2015). "Blunt Barbara Bush tells Jeb: You're not my favorite son". ↑ "Barbara Bush to campaign for Jeb Bush in New Hampshire". CBS News. January 29, 2016. ↑ "First on CNN: Barbara Bush hitting trail for Jeb in New Hampshire next week". CNN. January 29, 2016. 1 2 "Barbara Bush says Jeb Bush is 'everything we need in a president'". Tampa Bay Times. February 4, 2016. ↑ Reilly, Katie. "Barbara Bush Says Jeb Is 'Too Polite'". TIME. ↑ O'Brien, Cortney. "Barbara Bush: Women 'Knew' What Trump Meant By Megyn Kelly Comments". townhall.com. ↑ Smith, Candace (February 5, 2016). "Barbara Bush Brings Her Flair to Jeb's New Hampshire Campaign". ABC News. ↑ "Barbara Bush on Donald Trump: 'I'm sick of him'". CNN. February 6, 2016. ↑ "Donald Trump, Jeb Bush spar over Bush family legacy". CBS News. February 13, 2016. ↑ "Live presentation of the 77th annual Miss America Pageant". Turner Classic Movies. 1997. Archived from the original on March 3, 2009. Retrieved January 7, 2014.